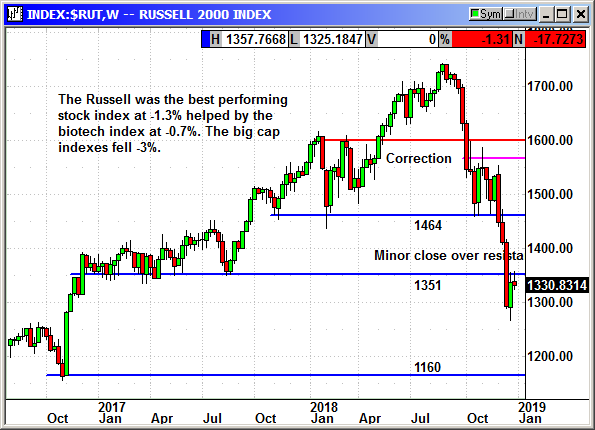 The Russell 2000 was actually encouraging despite the -660 drop in the Dow. The Nasdaq and Dow both declined -3% for the day but the Russell only fell -1.3%. I know it is hard to get excited about a 17-point drop being a good thing but the Russell has actually held at the 1,330 level for four days. Since the small caps tend to lead the market both higher and lower any relative strength should be appreciated.